【Why Choose LITOM】 LITOM IP65 Waterproof Solar Lights Outdoor, which have passed the FCC certification, may be the most reliable solar light you ever get. More than 5 millions people's life have been lighted up by LITOM. Let's join us now! 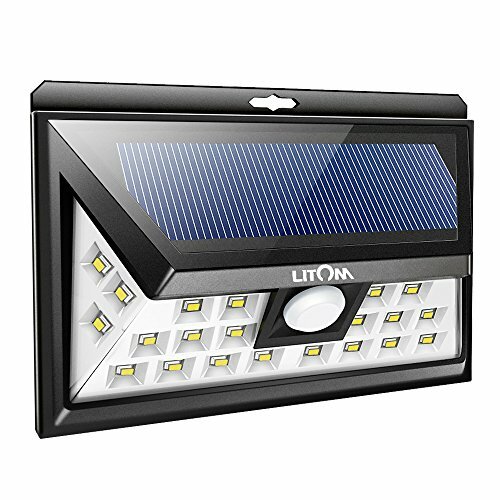 【Larger Lighting Area】 With unique Wide-angle Design and upgraded motion sensor, LITOM 24 LED Outdoor Solar Light offers 2.5X larger illuminated coverage and 1.5X wider detecting range than other brands' solar lights. 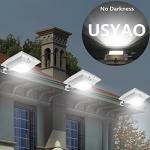 【Three Convenient Modes】 Compare with other single-mode solar lights, LITOM Solar Lights Outdoor bring 3 working modes to cope with different usage scenarios. 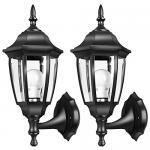 Perfect for using on front door, back yard, garage, driveway, deck, patio, even on RV. 【Brighter & Work Longer】Equipped with 24 upgraded high power LEDs and newest energy management chip, LITOM Outdoor Solar Light is much brighter than other 30 LED solar lights and get 2 hours longer working time compared with other lights in the market. 【What You Get】 LITOM 24 LED wide lighting area outdoor solar light x 1, Screw & anchor bolt x 2, User guide, worry-free 24-month warranty, and 7*24 friendly customer service. 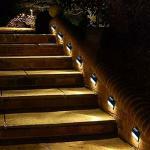 In winter, the solar light is not able to be fully charged for the lack of light. So it’s normal if the solar light is not bright enough and illumination time is short. Light time depends on how much it is charged during the daytime.